As luck would have it, I can’t remember the last time I spent my birthday at home. The birthday venues are always nice but work related: Germany, Switzerland, The Netherlands, Italy… This year something a bit different was on the works: the Great Barrier Reef! The Great Barrier Reef is the largest coral reef in the world. It is larger than the Great Wall of China (which we will visit too, probably not for snorkeling though) and is the only living thing that can be seen from space. It is composed by 2,900 individual reefs and some 900 dream islands. It has been selected as a UNESCO World heritage in 1981, and is commonly referred as one of the world’s seven wonders. If you want to take a peek right now, just type ‘Great Barrier Reef’ in Google maps, and choose Street View! 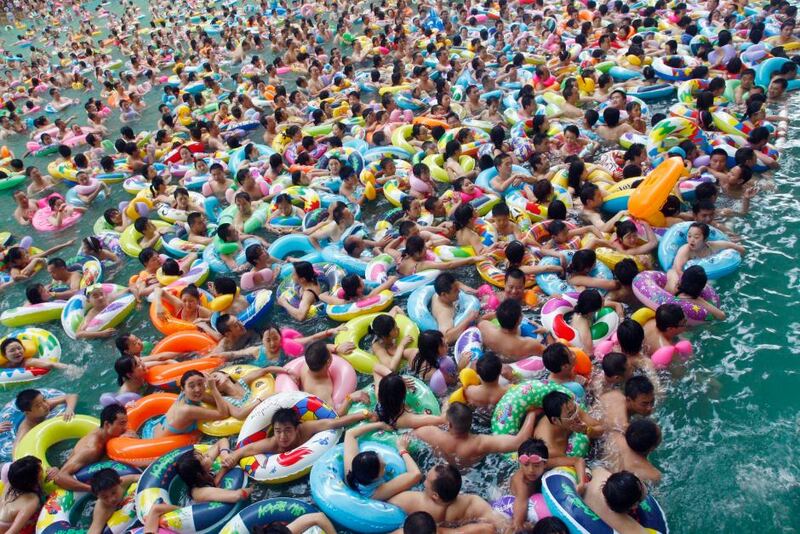 … it’s a pity you can’t actually swim there! On our way to the great barrier! No Verne, it doesn’t look like you’re sitting on the reef. Now, let the nice diver alone! We’ll definately try diving in Southeast Asia! See those things hanging? They’re bats, hundreds of them! Whoa there Verne, you’re ready for the Everest! Happy Birthday Verne, here’s your cake! One of the most popular ports to reach the great barrier is Cairns. In an attempt to confuse tourists, Aussies pronounce it ‘Cains’ (other examples of Australian trickery include Sydney’s Circular Quay (Circular ‘Key’) and Bondi Beach (‘Bondye’ Beach). As Cairns is where most visitors stay before getting on a boat to the great barrier, you’ll find plenty of places there to stay, eat and go out. The whole town is built around a beautiful bay but you can’t actually go to the beach there, on account of the crocodiles that sometimes wonder off the nearby rivers. Alternatively, you can either hang out by the Cairns Esplanade Swimming Lagoon – a pool with sandy shores built next to the marina – or catch a bus to the nearby Trinity and Palm Cove beaches. The latter is a much nicer option, as these beaches are beautiful and much less crowded. All of this is of course stock stuffing for what everybody goes to Cairns for: visiting the Great Barrier Reef. Now, there’s basically three ways to do it: one, hire a chopper and see the reef from the air; two, join a small group on a speedboat and go diving; three, join a large group on a sluggish boat and go snorkeling. Cheapskates as we are, we of course went for the latter. Waking up bright and early, we made our way to the marina to join our close to 100 snorkeling buddies. The plan for the day was to travel out to the great reef for approximately two hours and visit two snorkeling spots: Hastings Reefs and Breaking Patches. The trip itself was a bit of a let-down: from the air, the great barrier looks like this, but from a boat’s perspective it just looks like this. The best part was yet to come though: snorkeling among the corals! Snorkeling with 100 fin-wearing buddies reminded us of one of those crowded Chinese swimming pools, but we had devised a cunning plan: the water was not too cold but we rented a couple of wetsuits anyway, so we could hang out in the water longer and have the place mostly to ourselves (apart from a couple of Scandinavian girls in bikini that are probably used to swimming in the fiords). If you flick through the pictures we took underwater, you might have the same initial reaction we did: hey, I was expecting the coral to be way more colorful! So, what happened? Did we choose the wrong spot, are we lousy photographers, or is the great barrier no longer what it used to be? Probably a bit of all three. The pictures we normally see in magazines (like this one) are taken by proper photographers in carefully selected locations, away from the crowds and using artificial lightening to bring out the coral’s true colors. Human activities and temperature fluctuations also have an impact on the great barrier: it is estimated that since 1985, it has lost half of its coral. 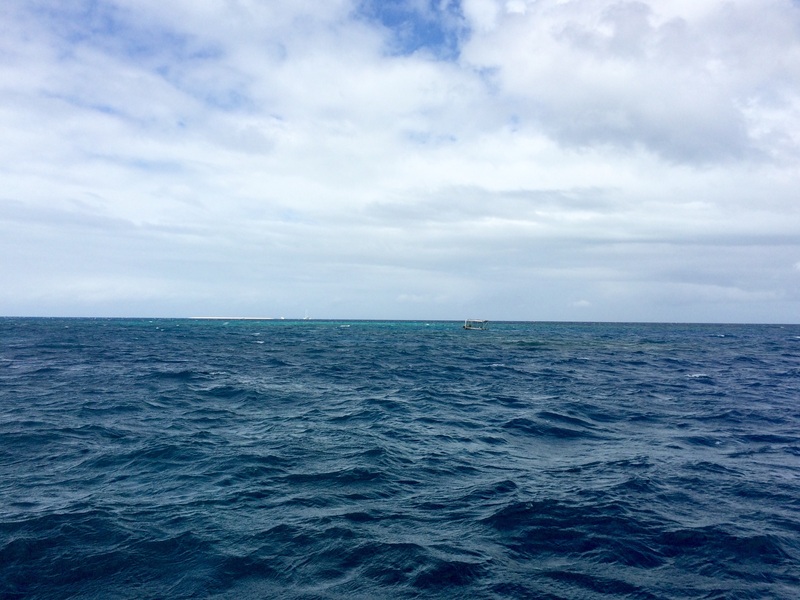 To prevent further damage, nowadays only small portions of the great barrier – like the one we visited – are acessible. All in all, snorkeling in the great barrier was an awesome experience, but probably a hair under the snorkeling we did in Panama. Still, best birthday location ever! We’re off to Japan now, sayonara! E, agora, rumo a novas civilizações, não é? Sayonara! Beijinhos e boa viagem! A comadre consegue sempre fazer comentários muito interessantes … eu bem tento perceber o inglês, mas escapam-me muitas coisas…as fotos ajudam e o google tradutor que é um grande trapalhão! Mas, eu concordo com a proposta do Jules & Verney quanto ao local do aniversário. Estão todos convidados e fazemos uma festa muito barulhenta com música bem alta, porque os vizinhos não se incomodam :)! Vai ser bem interessante..ehheh Comadre, continue com os seus comentários que eu aprecio imenso :)! Convite aceite, vou já registar na minha agenda! 🙂 Ah, esse local é privilegiado, bem o podem apreciar! Beijinhos e até breve.